Here are a few photos from this outing. The photos are large and may take a while to load, but PLEASE be patient, it's worth the wait! 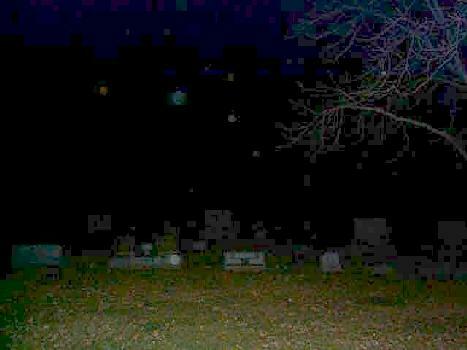 You can see several orbs in this picture. 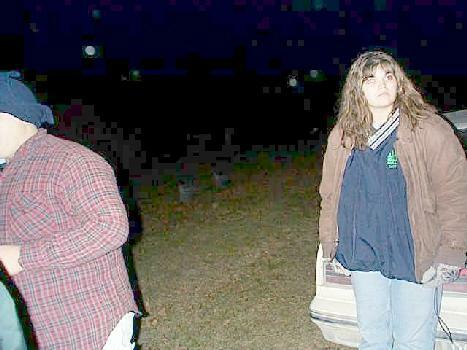 More orbs hover near an unsuspecting Kelly. 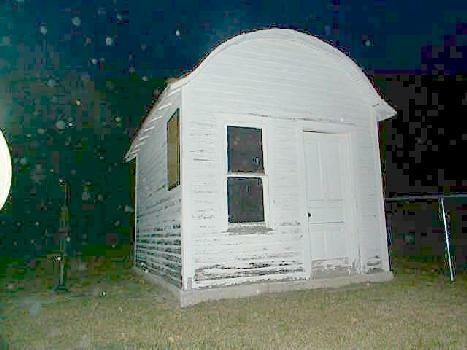 TONS of orbs near the groundskeeper's shed. 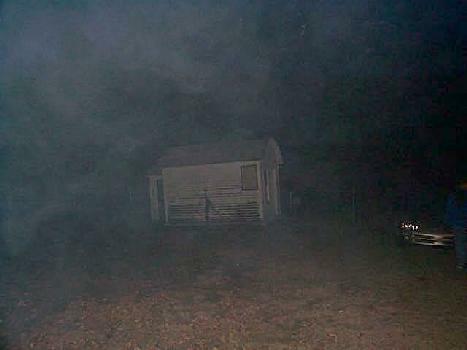 Here you see a mist hanging in the air, but it was a clear night, and this cloud was not visible when the photo was taken. All photos on this page taken by Gary P. or Cory P.